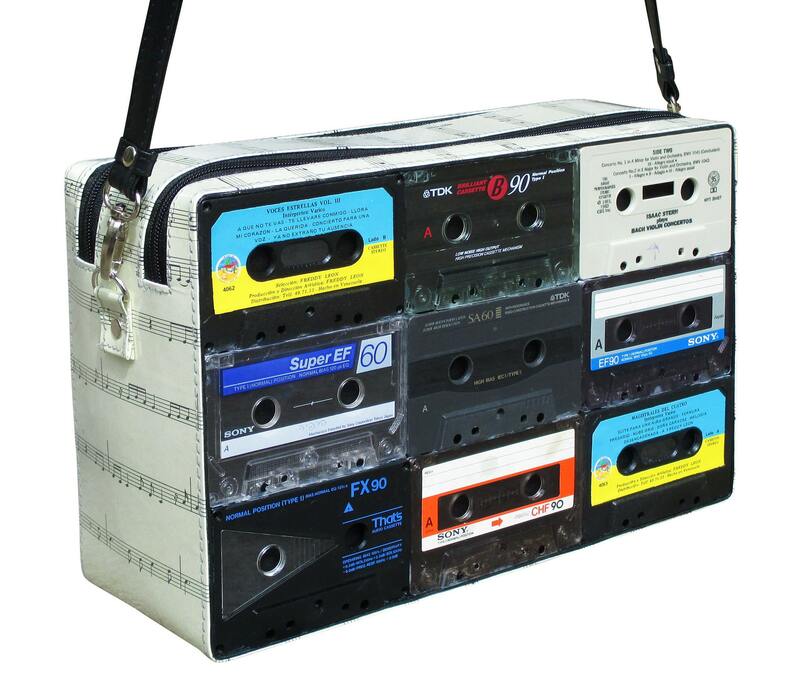 This Large cross-body bag is made from music cassettes. Nine cassettes on one side and nine on the other side. It has a double zipper closure and detachable / adjustable strap made of vinyl. The side of the bag is made using reused music sheet. This bag has no inner pockets.